The administration has broken five promises and achieved seven, a report has said. Despite his health challenge, President Muhammadu Buhari’s performance in the last two years has been rated 57 per cent. But the “number of achieved and ongoing election pledges has increased from one to seven, and 45 to 114 respectively in year one and year two”. The approval rating of the anti-corruption war of the government has, however, stood “fairly high at 52%”. The economic agenda of the Buhari administration was faulted due to its “inability to translate several monetary and fiscal policies to economic growth and development”. The administration was cautioned against the use of dialogue and negotiation in dealing with Boko Haram insurgents. On the agitation for Biafra, the government was urged to go beyond dialogue and negotiation by redressing the developmental issues raised by the Igbo. These highlights are contained in a report, titled “Buharimeter Mid-Term Report”, which was compiled by the Centre for Democracy and Development (CDD)- a non-governmental organisation. The compilation of the report was sponsored by the UK Department for International Development (DFID) and the Open Society Initiative for Western Africa (OSIWA). Signed by the Director of CDD, Idayat Hassan, was based on the 222 pledges made by the President. According to the report, the 222 election pledges were carefully sourced from (1) APC Manifesto: An Honest Contract with Nigeria;( 2) My Covenant with Nigeria released by the Campaign Team of the APC presidential candidate, Muhammadu Buhari; and (3) Un-refuted media reports including national newspaper reports and electronic media reports (television and radio) on election promises made by the President during campaign tours. The report said: “The Buharimeter Perception Survey reveals that 57% of surveyed Nigerians approve of the job performance of President Buhari, while 40% do not approve of his job performance. “Significantly, the 57% job approval has a regional dimension, with those from the northern region viewing Buhari more favourably. “ While respondents from the Northwest (85%) and Northeast (66%) constitute the majority of those who approve of his performance, respondents from the Southeast (72%) and Southsouth (60%) make up those who do not approve of his performance. “The report indicates that government emphasis in the last two years has been on security. The report gave insights into five promises broken by the Buhari administration and the seven broad ones achieved. It blamed Buhari for not keeping to his promise to end the rush to travel abroad for medical treatment. It said: “The two years’ assessment report reveals that five of the campaign promises have not and cannot be achieved by the incumbent administration. These are ‘broken promises’! 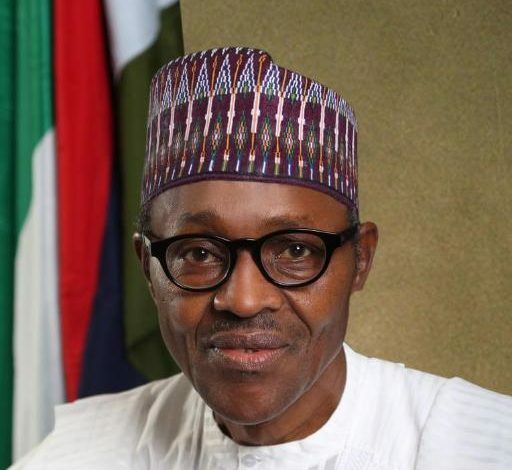 “The promises include: the commitment to end medical tourism, which has become a routine feat of President Muhammadu Buhari, who is presently being treated in London for an undisclosed ailment; the creation of three million jobs annually; provision of steady power supply to Nigerians between 12 and 18 months of the administration coming into power; the building of one million new houses a year over the next decades; and immediate increase of the national budget to the health sector from 5.5% to 10%. “The report shows that the Buhari administration also achieved seven of its campaign promises during its first two years. These promises include: the public declaration of assets and liabilities (though the details are yet to be publicly released); presentation of National Anti-Corruption Strategy; establishment of a good working relationship with state governments in the Northeast, neighbouring countries and the international community in the fight against Boko Haram; introduction of time-limited partial amnesty to rank and file Boko Haram members; review of health policy; introduction of social insurance scheme; and review of the structure of Joint Venture Companies and ensuring transparent tendering process, not managed by federal ministers. “A comparative analysis of the performance of PMB in his first two years shows significant progress in terms of promises rated as ‘achieved’ and ‘ongoing’. In the first year Buharimeter report released in July 2016, it was reported that overall performance was low, with the government having achieved only one out of 222 campaign promises, while progress was made towards fulfilling 45 of the promises. On the state of the nation’s economy, the report rated the Buhari administration low because of its inability to translate several monetary and fiscal policies to economic growth and development in the last two years. It added: “There is no doubt that restoring Nigeria’s economy is a priority for the administration. However, its inability to translate several monetary and fiscal policies to economic growth and development in the last two years raises some concerns. “Even the interest rate regime in the monetary market has not made any meaningful impact on the all-time inflation rate. As revealed in the Buharimeter Survey report, in spite of the government’s efforts to tackle the economic recession, most Nigerians do not believe these approaches are effective. “Only 17% and 1% of Nigerians consider the government’s approach to tackling the economic recession very effective and extremely effective, respectively. 46% and 36% of surveyed Nigerians consider the government’s approach somewhat effective. “The recession continues to impact negatively on the country’s employment and poverty rate as well as food inflation. The Buharimeter Survey further reveals that 9 in 10 Nigerians believe that the recession has resulted in ‘high cost of foodstuff’ (90%) followed by ‘high cost of transportation’ (61%), ‘high cost of house rent and utilities’ (56%) and ‘high cost of school fees’ (55%), among others, which have altogether affected their household negatively. “The government’s measures to address poverty and the unemployment rate are made less effective by politicised selection process (especially at state level), inconsistency in registered name and bank details, supply of wrong bank details, improper registration, lack of effective coordination arising from inexperienced focal persons in states, and failure of beneficiaries to present themselves for physical verification. Regarding the anti-corruption war, the report put Nigerians’ assessment of the Buhari administration at 52 per cent, but with a caveat that the approach must be reviewed. “It is particularly worrying that despite milestones recorded in the fight against corruption there are still genuine concerns over how the war is being prosecuted. In particular, the anti-graft war is rife with a lack of viable instruments to enforce compliance. “It also continues to be prosecuted in an uncoordinated and disjointed manner by several institutions, including the Department of State Services, police, EFCC and ICPC, among others. “These institutions need better coordination and increased understanding of their roles and responsibilities. Other challenges include the unlawful detention of suspects and refusal to obey court rulings. “ Even so, the approval rating of the anti-corruption war in the Buharimeter Perception Survey conducted by the Buharimeter stands fairly high at 52%; the greater proportion of Nigerians who expressed satisfaction are resident in Northwest (80%), Northeast (61%) and Northcentral (55%). On insecurity nationwide, the report condemned the “laxity” of the Buhari administration in responding to major crises. It also warned against the use of dialogue and negotiation in dealing with Boko Haram. It advised the government to address developmental issues raised by the Igbo, which have bred the agitations for the State of Biafra. The report said: “In terms of fighting insecurity, the government appears to have begun to shift from the state and enemy-centric approach to an approach which uses dialogue and negotiation. “While this may achieve laudable results in the case of the Niger Delta, caution should be exercised in employing such a strategy to deal with Boko Haram. “It is recommended that the government adopts an approach which balances the rights of both victims and perpetrators. The report calls on the government to prioritise dealing with ongoing agitations for a state of Biafra. “The government should go beyond dialogue and intervention in redressing economic and other development issues in the region, by acknowledging the local grievances from the Biafran War and charting a path towards memorialisation and healing. “According to the report, there have been several violations of human rights, due process and lack of respect for the rule of law since the Buhari administration came into office. “The government’s refusal to obey several court orders demanding the release of retired Colonel Sambo Dasuki, Sheik Ibraheem El-Zakzaky and his wife Zeenat is a serious blight on the administration’s commitment to the rule of law. “The laxity of the administration in responding to several violent conflicts erupting across the country is a source of concern for citizens. “For instance, the pastoralist/farmer conflicts plaguing all the six geo-political zones of the country have recorded numerous casualties. In Benue State alone, between 4th August 2015 and 25th April 2017, 37 incidents of pastoralist/farmer conflicts were reported with an estimate of 612 deaths recorded".